This exotic chocker feels so luxurious around your neck! Loads of silver just caressing you! 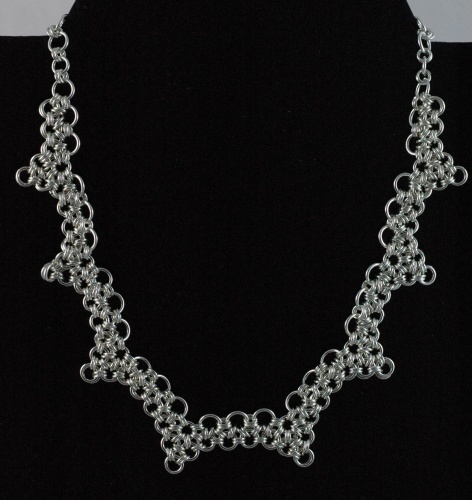 The weave is a Japanese chainmaille style.